Pain is the body's signal of letting you now that part of your body is in need of attention. It is a signal. Sometimes, pain can be acute and need emergency medical services, other times, it is a by-product of another issue. When pain is chronic, it can take away your quality of life. l Learning how to manage pain is part of the lesson. Hypnosis is a natural, safe, effective and alternative method to manage pain. Millions of people suffer in pain daily. Sadly many are advised to use "legal drugs" to reduce their feelings of pain. The difference between these medicines and hypnosis, is these drugs often have longer-term, negative, sometimes lethal effects. Following the topic of addiction very closely, I can tell you that the statistics for drug addiction and overdose are actually being led by those drugs we call "legal". One of the highest growing demographics for overdose is women from the ages of 35 - 55. Using narcotics such as oxycodone, when mixed with alcohol can be a deadly combination. There are many types of hypnosis pain management techniques that you can be taught to use as a safe alternatives. 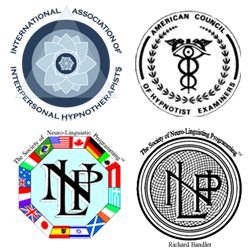 If you are seeking the natural and holistic approach used in the Hypnotherapy Pain Management protocols, I invite you to a complimentary session so you can decide if these techniques are right for you. Please note, with any clinical hypnotherapy, you will need a referral from your physician.